The New York Giants have made a few unexpected moves recently, and good or bad, some of those moves have left fans wondering just what the team is trying to do. Why trade away Odell Beckham Jr. to the Cleveland Browns? Why let Landon Collins walk away in free agency instead of going for the franchise tag option, which Collins previously confirmed he would be willing to play under? Why trade Beckham for a good but not great draft pick and an average at best safety? There’s been a plan at play for a while, it seems, but that plan hasn’t been revealed to the media or the fans for the most part. And based on the press conference on Monday from General Manager Dave Gettleman, it doesn’t look like answers about that plan are going to show up anytime soon. It’s somewhat hard to be patient with the management when it looks like the team is taking what was a somewhat promising but deeply flawed roster from last year and changing it into one that isn’t even attempting to win. Still, the offseason can’t be fully judged until the NFL Draft, which is towards the end of April. Which means Giants fans really will have to be patient when it comes to finding out what the team is going for. Whether or not the team takes a quarterback here could shape the way the next years turn out, and if there’s a time to judge the front office’s plan, it’s when everything is said and done after the draft. But even though it’s a bit too early for final judgements to be made, this is the kind of thing that the front office has to be careful with. If you want fans to stay interested in what looks like a bad team in 2019, it might be a good idea to not openly tell them that they aren’t in the loop, and that their backlash doesn’t matter. 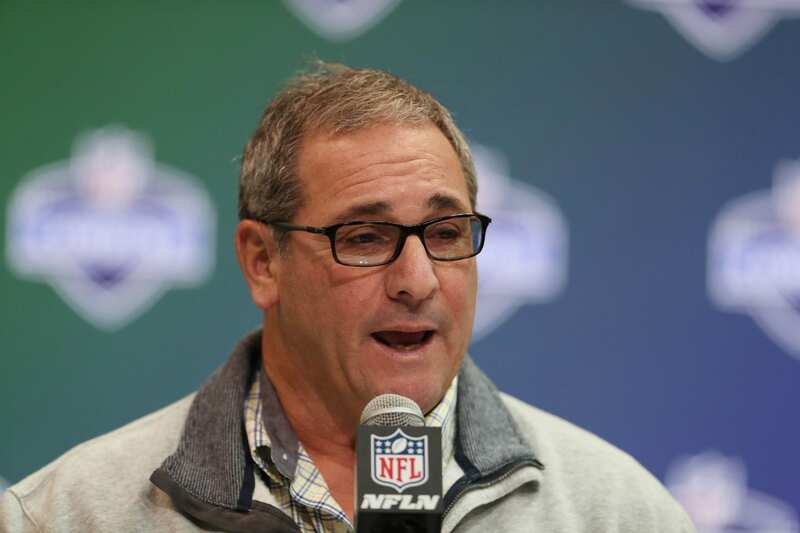 “So at the end of the day, you guys gotta say ‘Gettleman’s out of his mind or he knows what he’s talking about when he evaluates players.’ And I’m OK if you disagree with me,” Gettleman said. After losing a lot of the good faith built up from a good first season as GM by trading away Odell Beckham Jr., there’s going to be a lot of disagreements with Gettleman, especially if the team indeed ends up ‘tanking’ this year. But for those fans, there’s not much to do other than wait and hope that the later stages of this plan make moe sense on paper than the opening moves.